Millennials are dominating the housing market for the fourth consecutive year, according to research from the National Association of Realtors (NAR). However, 49 percent of Millennials don’t have the necessary funds set aside to cover a $500 emergency expense. An unforeseen expense can be a crushing blow to a budget. That’s why homeowners — especially first-time Millennial buyers — should take steps to protect themselves from the unexpected. Unanticipated expenses are almost guaranteed to occur. As David Bach writes in his bestseller "The Automatic Millionaire" -- "No matter how well you plan or how positively you think, there are always things out of your control that can go wrong." A FedEx truck might accidentally back into your house, leading to a $900 gutter repair bill. The air conditioner or washing machine could break. You may discover that your neighborhood is prone to power outages, so you’ll need to invest in a pricey backup generator. 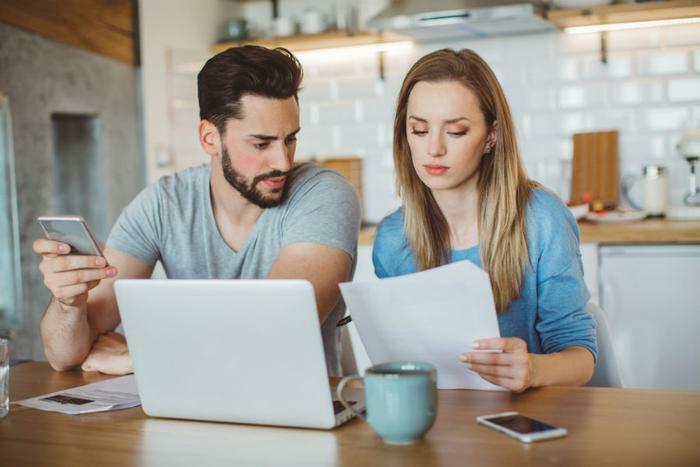 Unexpected costs like these can wreak havoc on a budget, but preparing for them can go a long way toward protecting yourself. Here are a few steps first-time buyers should take in order to help keep their budget intact. Determine how your house fits into your budget. When figuring out how much of your income you can comfortably afford to put toward mortgage payments, think about what might happen in the future. What if you become a parent, buy a car, or lose your job? To ensure you're not “house poor” if any of these things happen, the U.S. Census Bureau recommends that borrowers spend no more than 30 percent of their income on housing. Shop around for homeowners insurance. Your lender will require you to buy homeowners insurance, which can help protect your home and possessions in the event of accidents, disasters, fires, theft, and more. However, be sure to look closely at what is and isn’t covered in the policies. Going with a less-expensive policy means fewer protections and more out-of-pocket expenses if you file a claim. Consider getting a home warranty. Not to be confused with homeowners insurance, a home warranty covers repairs and replacements on systems and appliances due to normal wear and tear. It is an optional purchase, but you can rest assured that your budget won’t be destroyed if your heating and cooling system, electrical system, plumbing system, or one of your appliances breaks down. The older your home, the greater the odds are that something will break -- and the more helpful a home warranty might be. Decide if you need flood insurance. If your new home is in a flood-prone area, you may want to buy separate flood insurance. Flood damage isn’t covered by homeowners insurance. Get help if needed. If you're having trouble combing through the fine print, consider letting an experienced agent help guide you through the process of figuring out which policy will provide the best protection for your household.